I am a big fan of the Iman hijab. I have it in almost every colour available, and at least 4 pairs in black. 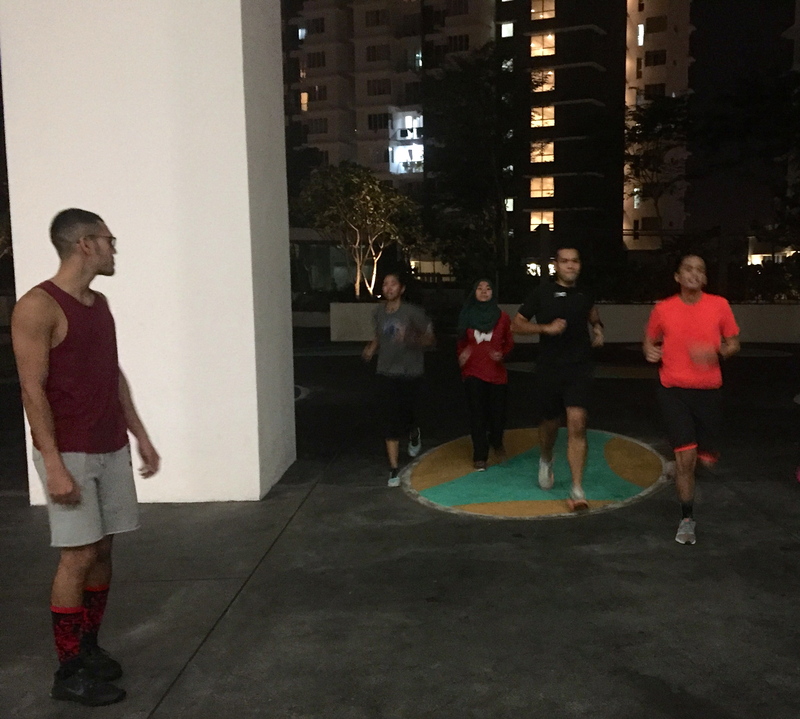 I wear my Iman hijab at almost every active activity, be it running, at the gym, exploring the outdoors, and many more. One of the most frequent questions that I get for my hijab is “Can I use it for swimming?”. 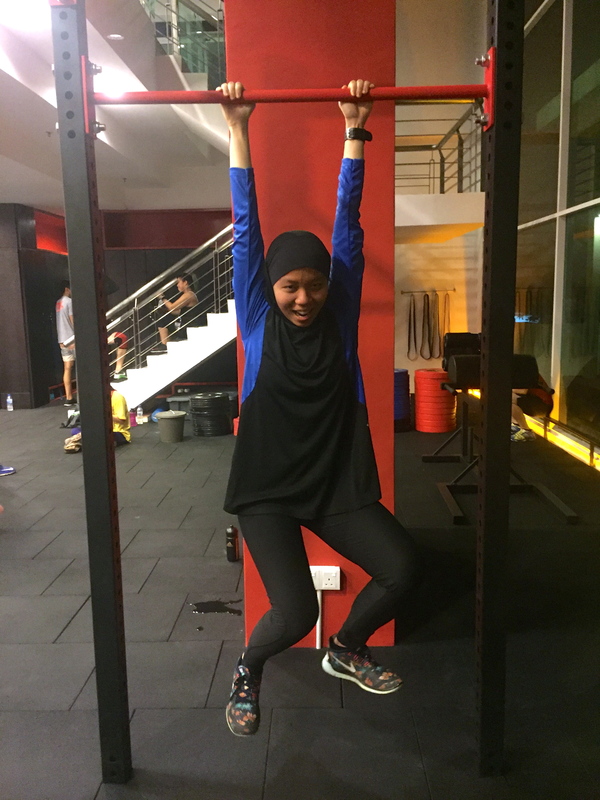 Before I could decide, I put my hijab to the test at Fuel Athletics last Friday when we had our WOD (Work Out of the Day) in the pool. Never without my Iman hijab. 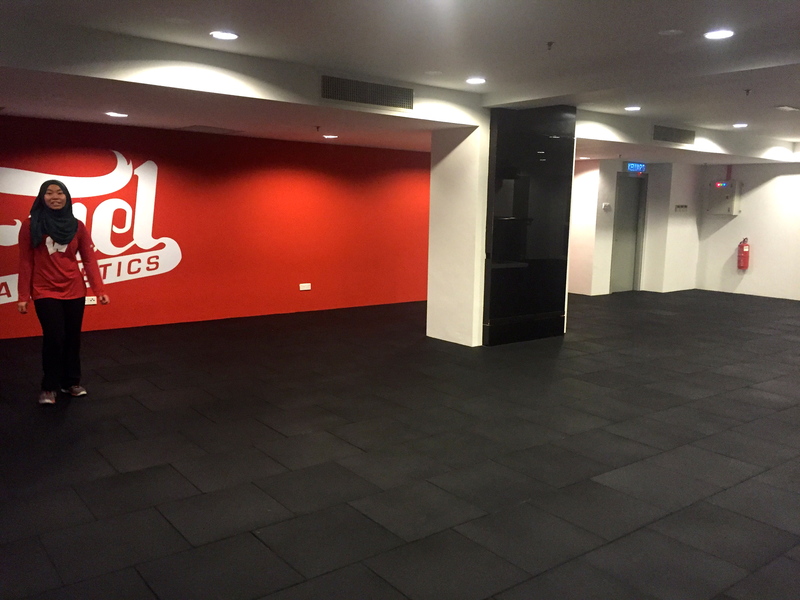 Unfortunately, no photos were taken during the work out as it was too dark outside. We swam for less than 200m to warm up. It wasn’t complicated as I already know how to swim. Thanks to the elastic band that is built into the hijab, it stays put wonderfully on my head. As no under cap was required, the goggles can go comfortably around my head without feeling too tight. It is not suitable for diving. 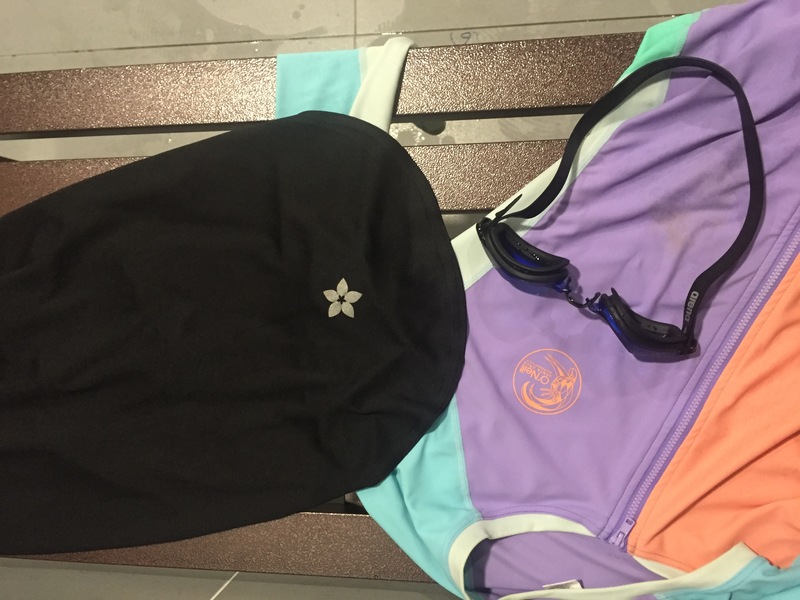 The pool is not very deep, but due to the elastic band that holds the hijab in place it will result in pressure and discomfort in the ear. I can also imagine that this hijab will also be suitable for activities that will require you to get wet, but not too vigorous, such as taking a dip by the beach. We did thrusters and muscle up in the pool. 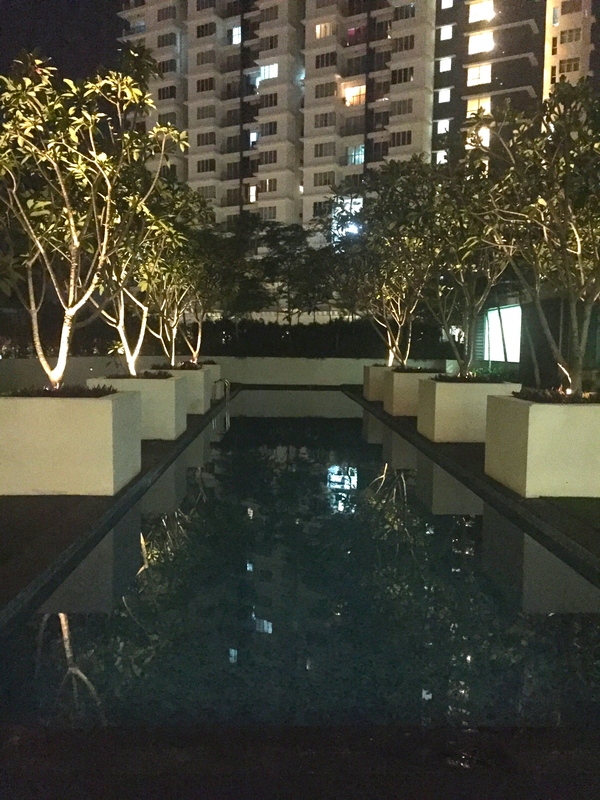 These were very rapid and quick movement, transitioning from inside the pool to the surface of the pool. Due to the fabric around my head, it captured a lot of water and I felt that there was a lot of water rushing down my face. But it did not hinder my performance, I just could not see very well and it felt slightly uncomfortable. If you are planning to go light on your wet activities, then this the right hijab for you. It is also suitable for a leisurely swim. 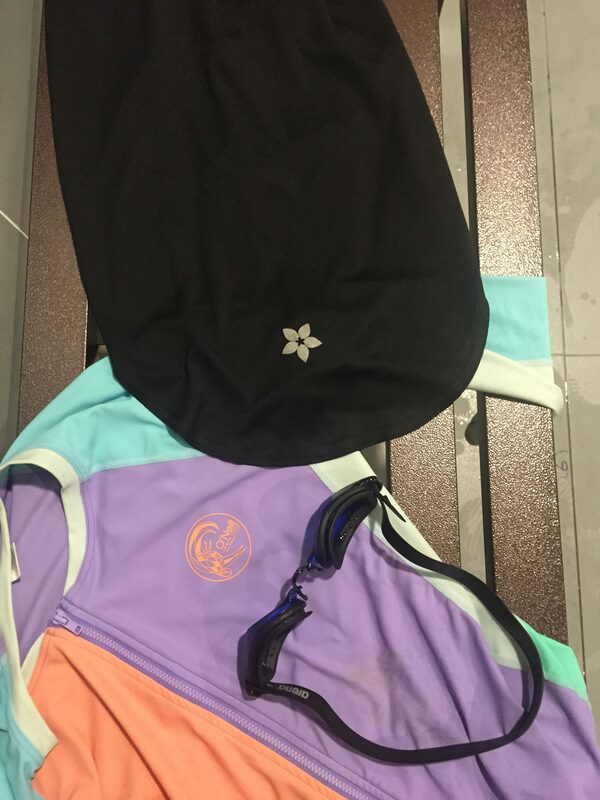 However, if you want to go competitively in an event, or activities that require fast movement, it is better to stick to a conventional swimming cap or a head cover that is lighter and more suitable. So ladies, I hope my honest review helps!